There are many complicated aspects of running a business, but there are certainly many headaches that are necessary to tackle, if you are going to succeed. One of these important aspects is the subject of workplace safety. Few things are able to bring down the morale of a workplace like poor office safety. Injuries to employees can be costly, and bring about a host of legal implications. 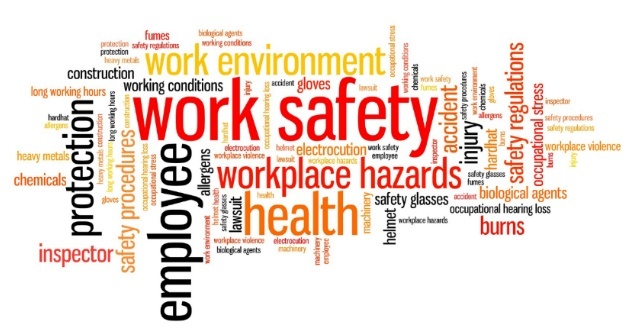 For this reason, it is highly important for businesses to make a high priority for workplace safety. The heart and soul of a company is in its employees, so you always want to make sure that you have the right people for every job. However, it’s important to consider workplace safety in your hiring process. The right person for the job shouldn’t be someone who you think might be a liability to themselves, or those around them. By keeping smart, reasonable people on your staff, you will decrease the chances of workplace injury, and have the right personnel to continually improve on your safety processes through keen observation. The first step to a safe work environment is ensuring that the right people are involved. 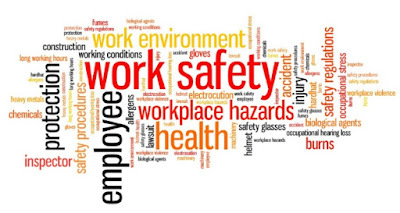 As stated above, employees are really where it starts and ends, when it comes to business safety. However, you can hire the perfect people for any job every single time, but it wouldn’t make a lick of difference if they aren’t educated and trained on how the safety procedures in your industry are supposed to work. Investing in employee safety training is a process that will end up being a real money saver, as it is much cheaper than dealing with the fallout of an injured employee. By ensuring that employees are trained in the correct methods for their job, you will build a culture of safety that runs deep to the company’s core. People need a place to work, no matter how efficient they are. When it comes to setting up the environment for your employees to be in, the first thing that you need to take a high priority on is making sure that the workspace is consistently clean, especially if people are consistently working in it. A dirty work environment will increase the number of hazards that employees will need to be aware of. This means that the likelihood of a workplace accident is likely to rise, while your workers’ efficiency is likely to fall. It’s a lose-lose for everyone. On the flip-side, though, keeping this environment clean will be a big win-win. One of the most important things to remember, in the work world, is that the right tools for the job can, often, make all of the difference. Studying up and making sure that your employees have the proper equipment for their particular job will mean that is a much narrower margin of error for something to go wrong. The reason for this is that the right tools are not only made to do their specific job more efficiently, but are also designed to minimize the risks of injury, greatly. Equipment manufacturers don’t want a nasty injury lawsuit anymore than you do, so trust in their designs and invest in high-quality equipment for your employees to use. There is no “one size fits all” for workplace safety, because every industry will have different hazards that they need to be aware of. This is why it is important to be self-regulated, and be able to keep up with the standards and updates of your own industry. Do research on what causes the most injuries in your line of work, and continually think of ways that you can improve upon that area. While an office environment will have much less to worry about, in terms of acute injuries, a worksite for a construction job will actually have a lot more to think about, as detailed in this helpful article here.